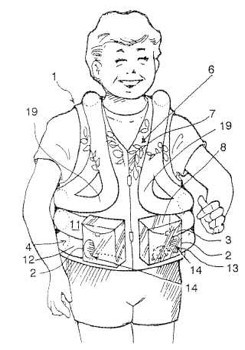 Following on from our Top 15 Truly Bizarre Patents and Another 10 Bizarre (and Stupid) Patents, we have prepared a third list of the weird and whacky that passes for invention these days. If nothing else, these should give some hope to young inventors who have come up with ridiculous ideas that are laughed at – patent them anyway – everyone else does! 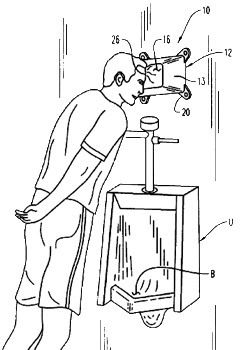 “A forehead support apparatus for resting a standing users forehead against a wall above a bathroom commode or urinal or beneath a showerhead. 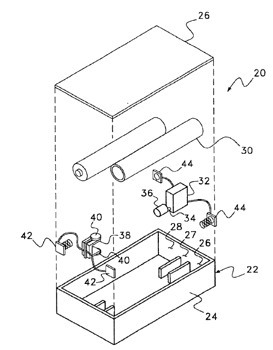 The apparatus includes a mounting member adapted for attachment to an upright bathroom wall either above the commode or urinal or below the showerhead. 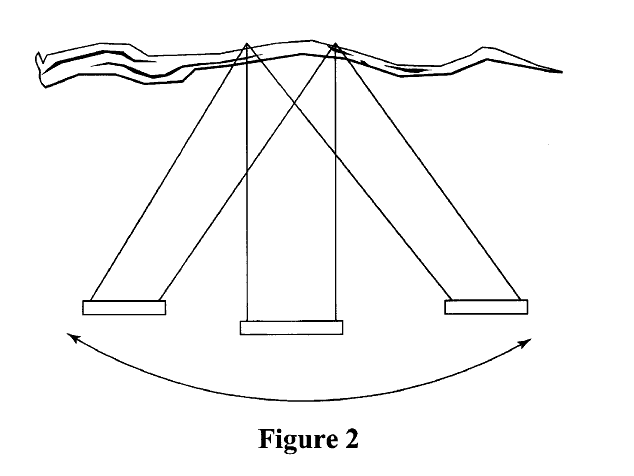 A compressible head support member is attached to and extends from the wall and said mounting member. 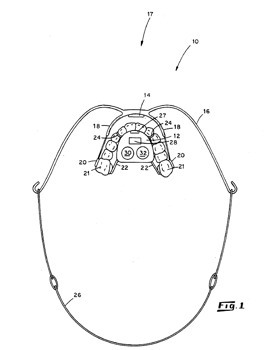 The head support defines an elastically deformable or resilient forehead support surface which is spaced above the floor and from the wall a distance sufficient for the user to lean his forehead thereagainst and be supported while using the commode or urinal.” Seriously – have you ever needed something like this? Even at my drunkest I can still use a toilet without resting my head on the wall. Does your kid forget to put his braces on in the morning? 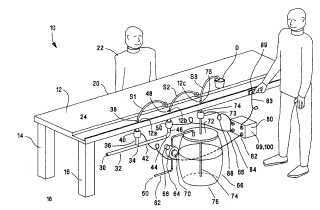 Well here is a patent that will solve this problem. By implanting this device in your child’s mouth, it will ring an alarm that won’t stop until he puts his braces on. 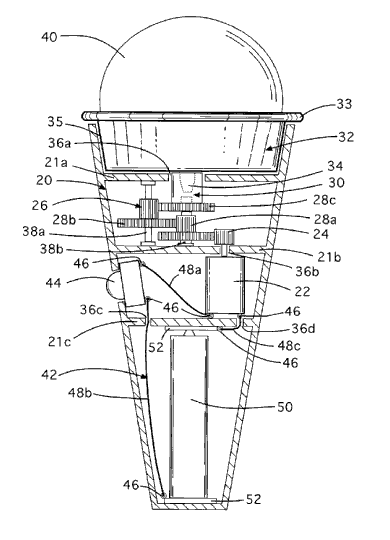 The devices uses magnetics to detect the insertion of metal into the mouth. Never mind that your child has an electric alarm permanently wired into his mouth – at least his teeth will be straight. Also known as the Personal Hygeinic Massage Bar, this patent is a novelty bar of soap containing an electro-mechanical vibrating mechanism. 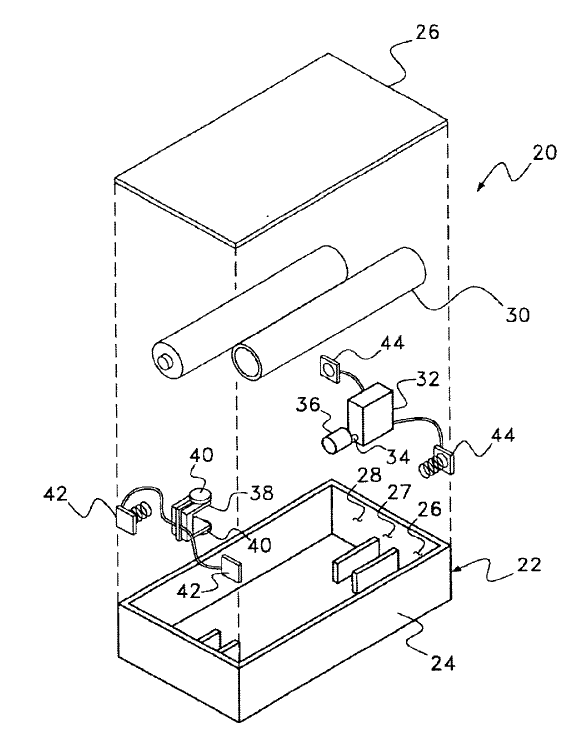 Within a housing is disposed an electric motor that rotates a weight from an eccentric point. Two reed switches are connected in parallel within the housing. Two alkaline batteries are also provided in the housing. All I can say is “why?” This is “[a] novelty amusement eating receptacle for supporting, rotating and sculpting a portion of ice cream or similarly malleable food while it is being consumed comprising: a hand-held housing, a cup rotatably supported by the hand-held housing and adapted to receive and contain a portion of ice cream or food product of similar consistency, and a drive mechanism in the hand-held housing for imparting rotation upon the cup and rotationally feeding its contents against a person’s outstretched tongue.” Of course it is impossible to think that someone might be able to just rotate a regular cone as they lick the ice-cream. 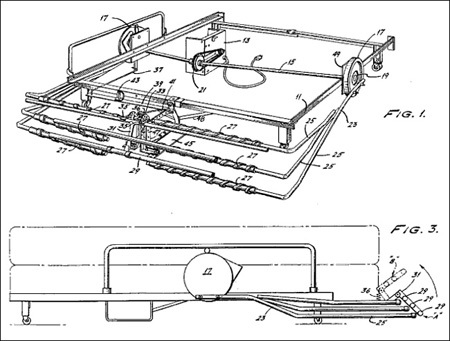 This is a patent for a method of swing on a swing in which a user positioned on a standard swing suspended by two chains from a substantially horizontal tree branch induces side to side motion by pulling alternately on one chain and then the other. 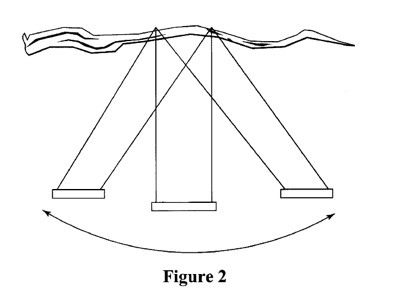 From the Patent: “The user may even choose to produce a Tarzan-type yell while swinging in the manner described, which more accurately replicates swinging on vines in a dense jungle forest.” Waste of time much? 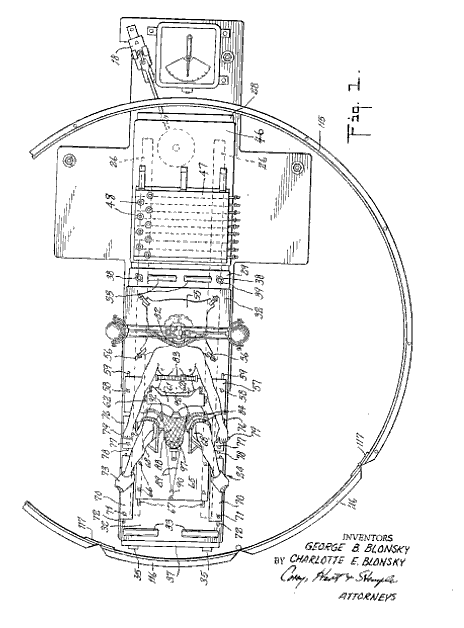 The full name of this patent is “APPARATUS FOR FACILITATING THE BIRTH OF A CHILD BY CENTRIFUGAL FORCE”. 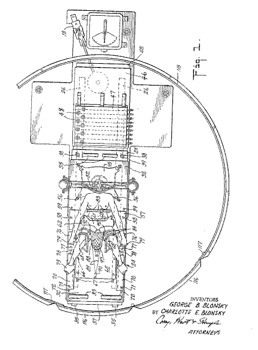 According to the patent: “The present invention relates to [an] apparatus which utilizes centrifugal force to facilitate the birth of a child at less stress to the mother.” Yes – because during childbirth it would be far less stressful to be strapped to a giant machine and spun at high speeds in order to force a living child out of your body. I can see this one catching on. 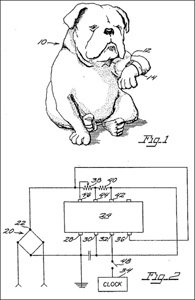 So – back to the patent, read this charming piece of science: “In the case of a woman who has a fully developed muscular system and has had ample physical exertion all through the pregnancy, as is common with all more primitive peoples, nature provides all the necessary equipment and power to have a normal and quick delivery. This is not the case, however, with more civilized women who often do not have the opportunity to develop the muscles needed in confinement.” I wonder what studies he used to back up that bit of information.